Sir Malcolm McKibbin, recently Head of the Northern Ireland Civil Service (NICS), is to join the board of Co-operation Ireland following his recent retirement. Dr. Christopher Moran, Chairman of Co-operation Ireland has announced that Sir Malcolm McKibbin, former Head of the Northern Ireland Civil Service will join the main Board of the organisation on 26th September 2017. Sir Malcolm who was the most senior advisor to the former First and Deputy First Ministers for Northern Ireland, was also secretary to the Northern Ireland Executive. More recently, Sir Malcolm has been chairing the talks process between the various political parties in Northern Ireland in an attempt to re-establish devolution. 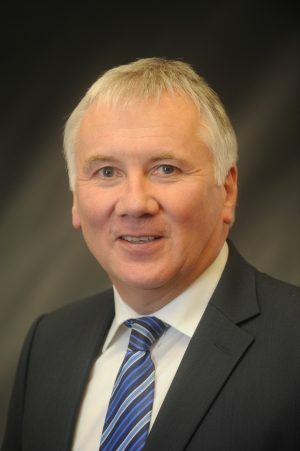 Making the announcement, Dr. Moran said, “Sir Malcolm brings a wealth of experience to Co-operation Ireland and his skills complement those of other board members such former Taoiseach, John Bruton and former First Minister, Peter Robinson.